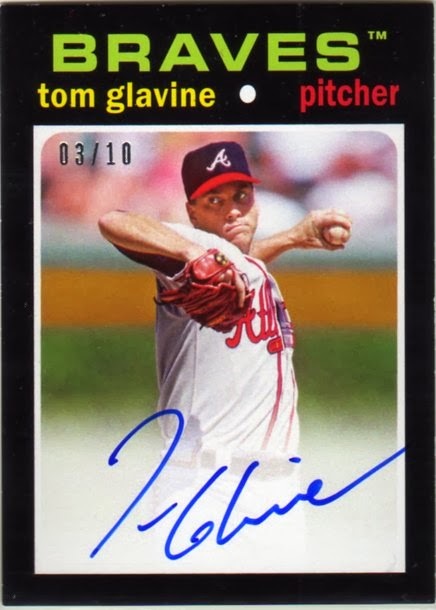 Tom Glavine mini autograph card numbered 3/10. I never seem to have problems with redemptions. The only time in the past 10 years I didn't get what I was supposed to get (a Jesse Ventura relic) I got something equally cool (an Erik Estrada relic). I guess if I have to complain then, um... the edges are a little chippy? I guess? Like every other card with black borders? But honestly, who cares. It's an on-card autograph of a Hall of Famer that I'm never going to sell and will rot in my collection until my heirs dump all my cards on Craigslist when I croak. This is a hella nice looking card, too bad there's only 10 of them. 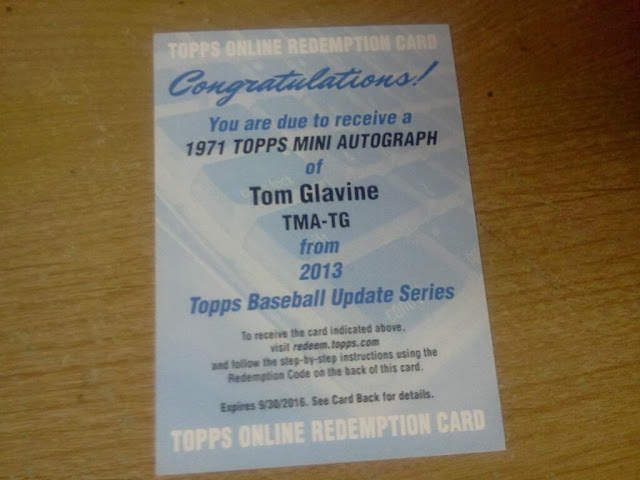 Tom's not in the mini base set, so take a good long look, this is the only one you're likely to see. 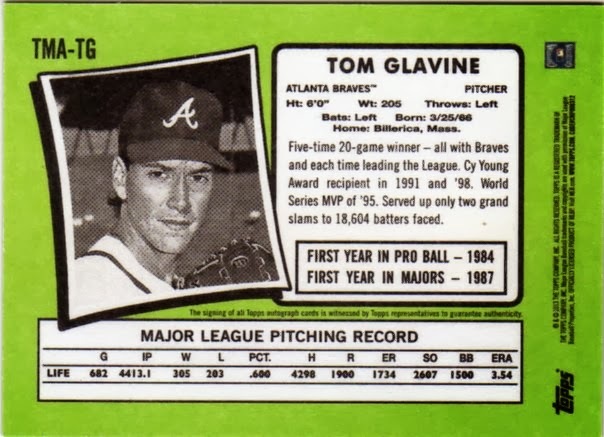 I like that career stat line on the back, and also the authenticity legalese that is cleverly integrated in the '71 design. Can you find it kids? 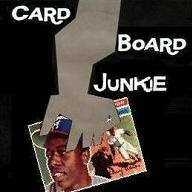 The only thing that could make this card better is one of those old hologram stickers that Topps used to plaster on their autograph and relic cards 10 years ago. So a pretty good pull for 2013 considering my pack buying habits dropped drastically last year. Will I find anything this good in a pack in 2014? Will I even buy any packs in 2014? We got 11 and a half months to find out. Grats on the pull, enjoy it !